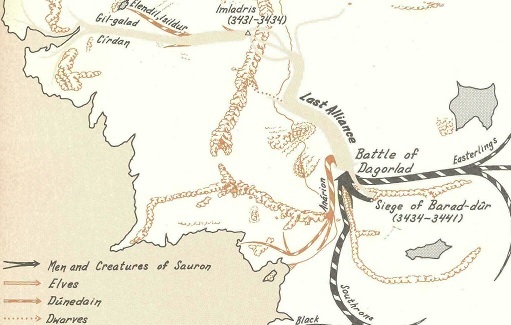 Battle of Dagorlad (3434 S.A.) - The battle before the battle. It was fought outside Mordor and was a precursor to the invasion of the Black Land. By the Third Age the area had become known as the Dead Marshes as a result of the corpses left over from the battle. It was at Dagorlad that Oropher, leader of the Woodland Realm, was killed.